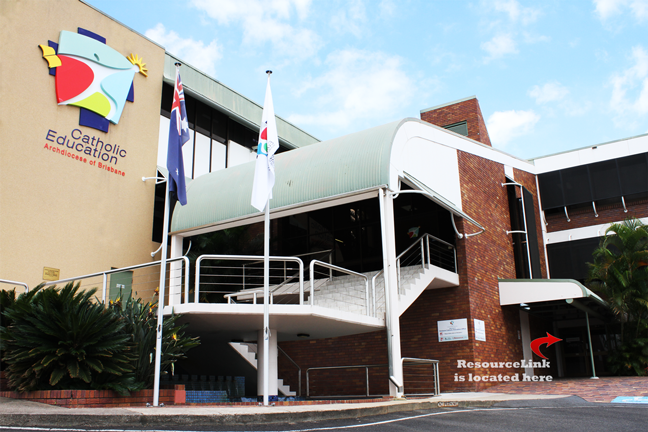 ResourceLink is Brisbane Catholic Education’s Information and Resourcing Centre. The vision of ResourceLink is to inspire, support and challenge Brisbane Catholic Education staff and Archdiocesan groups to access, use and develop quality resources and pedagogies for creative and effective learning and teaching. Technology: ResourceLink uses the latest technology to access and deliver quality online electronic resources. Our professional staff provides support for clients who wish to use new technologies, pedagogies, resources and equipment. Resource development: ResourceLink facilitates the development and publication of resources for religious education, evangelisation and faith formation, and learning and teaching. There is a growing collection of original, innovative ResourceLink productions. Collections: ResourceLink has (1) a large collection of curriculum resources, (2) a professional library including e-journals and databases, (3) a digital library with access to ebooks and audiobooks and (4) a managed collection of digital equipment. Consultancy: ResourceLink provides (1)Professional learning opportunities on Contemporary Resourcing (2) an advisory service on copyright matters and (3) advice and support for the use of new technologies and innovative pedagogies. Production Room: ResourceLink has a production room specifically designed to assist in the production of contemporary audio-visual resources. Thanks for mentioning the blog, I hope you find it useful!